Combines material from Rock 'N Learn's award-winning Letter Sounds, Phonics, and Sight Words DVDs into a comprehensive reading program that's easy to use! 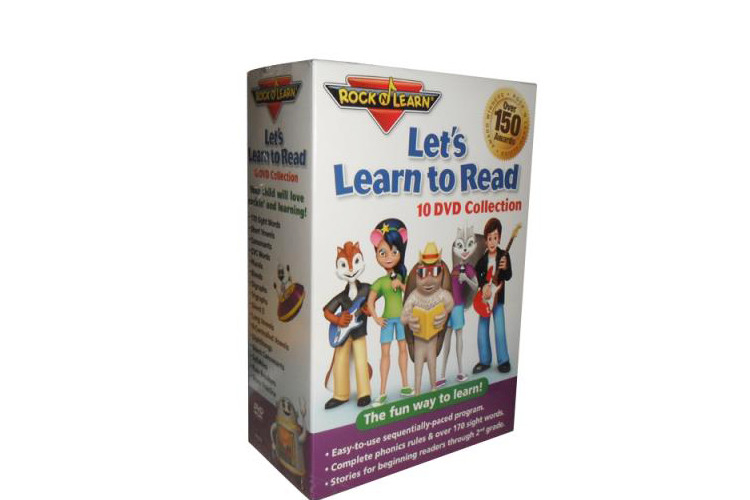 Let's Learn to Read is a series of 10 DVDs and optional activities that provide a fun way for kids to build reading skills, from beginners through second grade. Entertaining music, humorous characters, and engaging stories help learners stay focused. 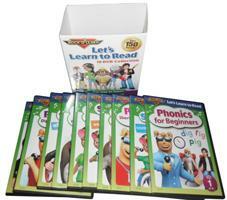 By covering phonics rules and sight words, this collection offers the best of both worlds. And it's sequentially paced to work well with 80 free worksheets. Learners move on from one DVD to another, as they are ready. Phonics skills include vowels, consonants, blends, digraphs, diphthongs, silent consonants, rule breakers, and more. Over 170 sight words help build speed and accuracy for the most common words used in children's literature. Busy parents love an approach that allows independent practice. Kids love a fun way to learn! Fun songs and humorous characters help build reading skills. Collaborative effort between educators and entertainers. Best for ages 4 through 7 and older kids with remedial needs. Also useful for parents looking to give their preschooler an early start. Sight words are the most common words found in children's literature. Phonics is a proven strategy for reading and spelling success. Easy to use and sequentially paced. Run time: 30-45 minutes each. Printed and manufactured in U.S. Bonus material includes free phonics worksheets and lesson extensions that go right along with the sequence of this comprehensive reading program. Studio:: Two Little Hands Productions.